Vin Scully Is My Homeboy Blog COMING SOON ! New blog ! Same attitude ! Better site ! Check it out ! More details coming soon ! Thanks. The Dodgers begin a 3 game series Today vs the St. Louis Cardinals. It should be fun. We need to start a winning streak and get back on top of the standings. 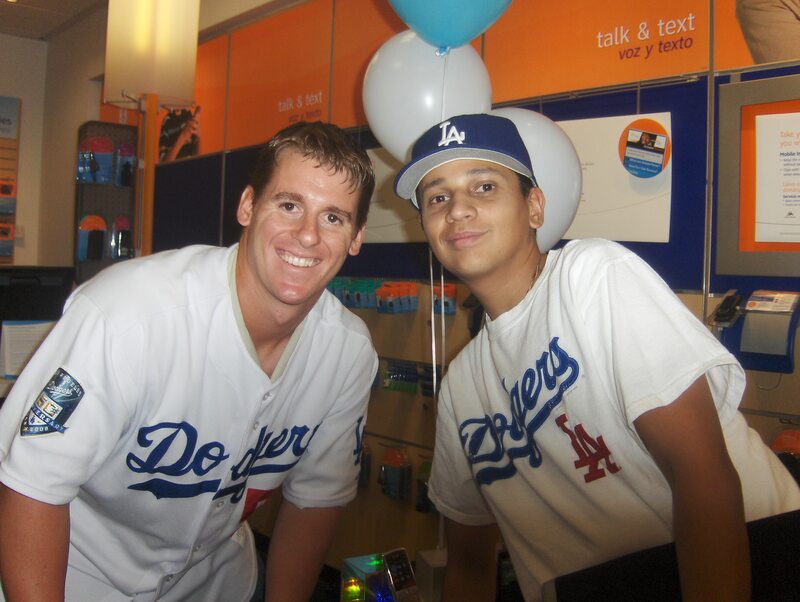 Chad Billingsley will start today. Who quickly is becoming the Ace of the pitching staff. Before the game the Cardinals had a press conference to show off the 2009 All-Star game logo. St. Louis will host the game. Any tips on how to get tickets for the game ? I heard All-Star game tickets are hard to buy. It’s mostly for season-ticket holders and sponsors. I guess Ebay is the only option. Wow, Dodgers fans have purchased over $ 125,000 worth of # 99 T-shirts and jerseys since the slugger was acquired from the Red Sox. Sports Illustrated has a article on how the Manny trade went down. Chris Casavant of the Connecticut Post writes that Manny’s recent behavior with the Red Sox is unforgivable. 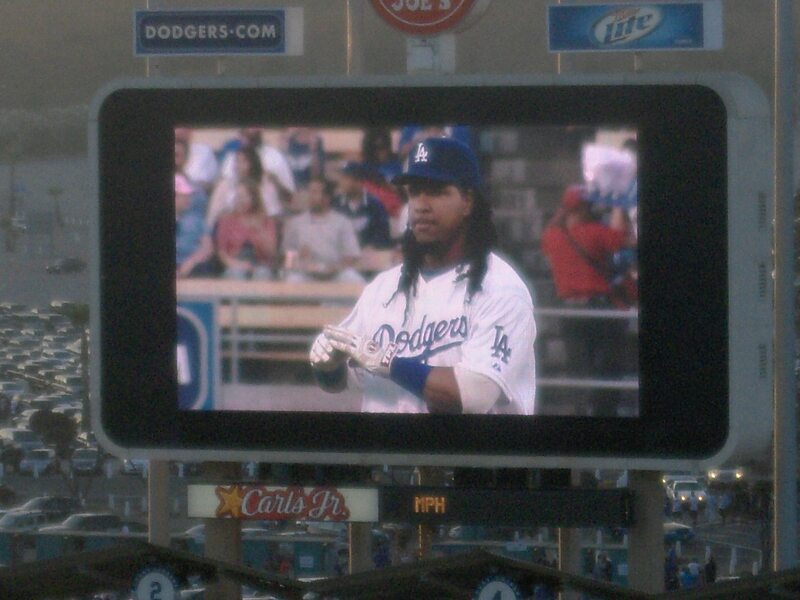 With all the Manny Ramirez excitement in the air, I had to be at the stadium to see his first game as a Dodger. My Wife went online and purchased 2 tickets for the game. I’m glad we did that because hours later it was announced that the game was sold out. We arrived at 5:40 pm and walked straight to the Autograph alley because I knew that Lee Lacy was going to be signing autographs. 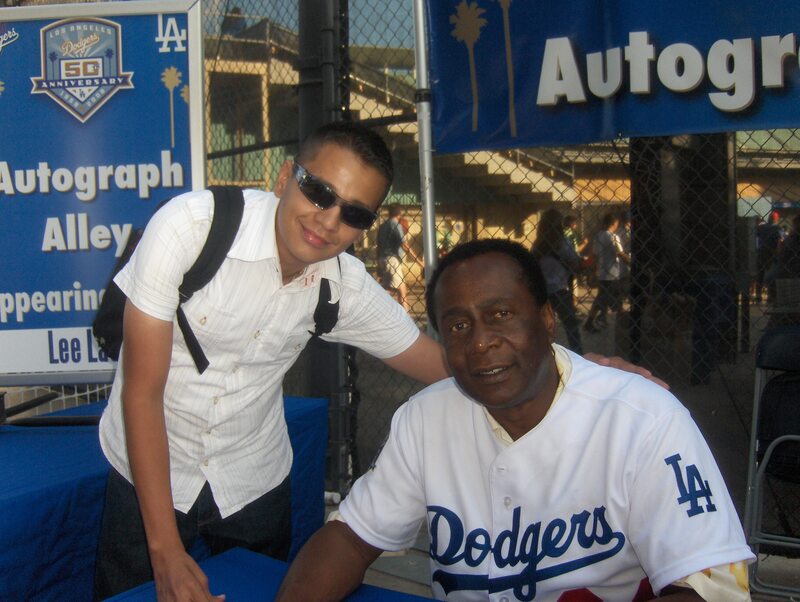 I needed his autograph for my mini-helmet dedicated to former Dodgers from the 1970’s. Lee arrived a little late. A employee said he was stuck in traffic. Then at 6pm he arrived and started signing autographs. About 10 fans were in front of me. So it was all good. My turn came and I gave him the helmet and a silver sharpie. I said “Hey Leondous” That’s his real name. He seemed surprised and I said “Hey you were part of the “We are family” huh ?” He said “Yeah those were good times” The reference “We are family” is a song by Sister Sledge and it was theme to the 1979 Pittsburgh Pirates team for their ways of playing together as a team and ultimately winning the World Series. This is a picture of Lee Lacy and I. Then left up to the Reserved Level to sit in our seats and relax. The fans seemed to be excited that Manny Ramirez was here. It was a great game. Clayton Kershaw vs Randy Johnson. The next star vs the future Hall of Famer. 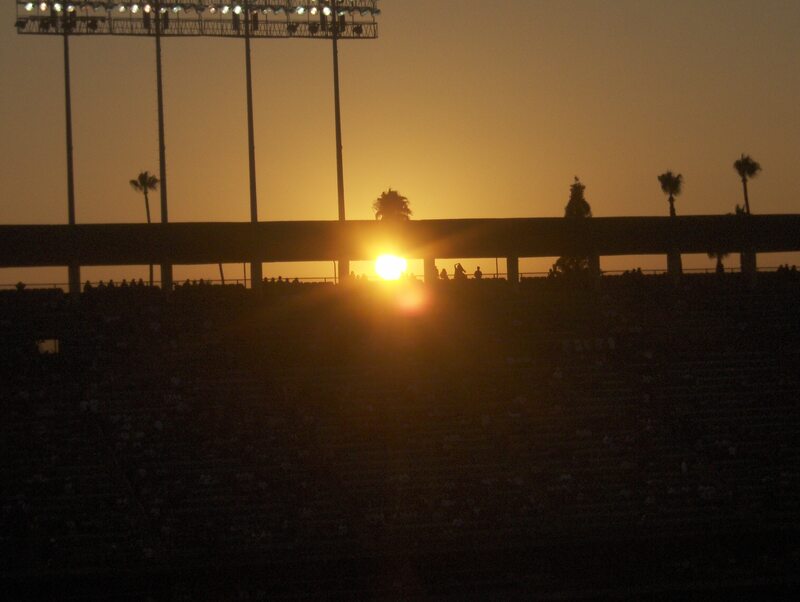 Here are some picture of the game…. About 100 people in line. I walked towards the front and saw a couple of fans that I know. I was tempted to cut in but decided not to do it. There was a rope and since I came with my Wife, I didn’t want problems with the other fans. I walked back to the end of the line and waited patiently. Chad came on time and started signing right away. He signs quick. We were able to obtain his autograph around 12:30pm We gave him 2 photos to sign. Chad was in a great mood and smiling. Thanks Chad! Remember to keep voting for Russell Martin ! Do it now ! You can vote by clicking here. Vote ! Vote ! If you haven’t read this entry on why you should vote for Martin then do it now. award for Son of the year ? If there is, maybe Chicago White Sox pitcher Mark Buehrle should get one. Yeah right…He pitched last night against the Dodgers. He had a great game. 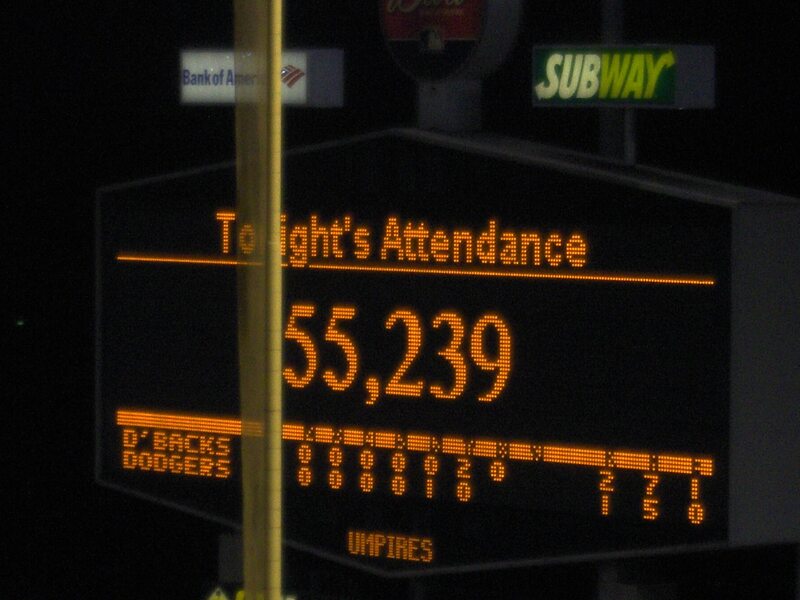 Well, who wouldn’t have a great game against that terrible Dodgers offense ? Let’s be realistic, our offense is…I have no words to describe it. 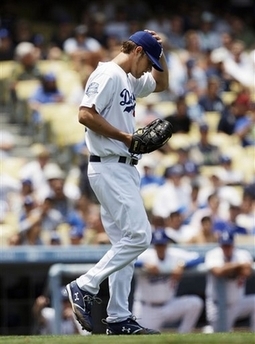 But anyways, Mark pitched 8 innings allowing only 1 run. Also during the game, he was able to get strikeout # 1000 of his career. His father, John Buehrle, likes to watch his son pitch in person. He does it often and travels alot to see him. But he didn’t travel to Los Angeles to see Mark pitch. Why ? Well you are aware of the high gas prices around the country, which causing inflated prices, including airline tickets. According to MLB.com, the reason John didn’t travel to L.A. is because of high prices on airline tickets. With the cost of last-minute travel from the Midwest to California a little bit too prohibitive in this specific instance, Mark Buehrle was on his own with one out in the eighth inning and sitting just one strikeout away from this milestone. You might think that would affect the average person but not Mark Buehrle, who in his career has made over $ 28 Million Dollars and during the off-season he signed a $ 56 Million extension ! Wow, Mark, couldn’t spare your own Dad some pocket change ? T.J Simers interviews Ned Colletti. A player of extraordinary ability renowned for his electrifying style of play. Over 10 seasons hit .311, scored more than 100 runs six times, named to six All-Star teams and led Brooklyn to six pennants and its only World Series title, in 1955. The 1947 Rookie of the Year and the 1949 N.L. MVP when he hit a league-best .342 with 37 steals. 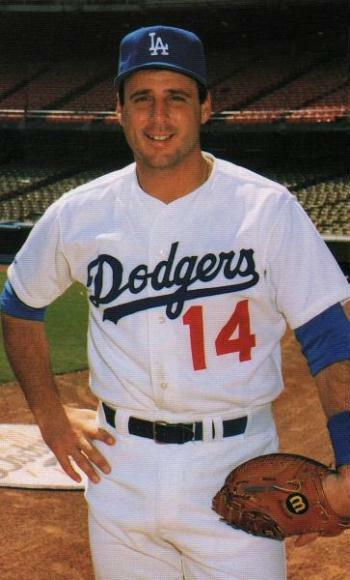 Led second basemen in double plays four times and stole home 19 times. 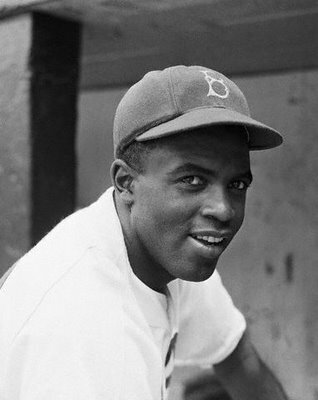 Displayed tremendous courage and poise in 1947 when he integrated the modern major leagues in the face of intense adversity. I will leave you with a video (May 19, 2008 The Key Club/West Hollywood) of Brad Penny rocking the night life. Imagine Steel Panther, Vince Vaughn, Tom Morello (from RATM?) and other unknown people with Brad Penny on the stage. I guess Penny will miss his L.A. night life once the Dodgers ship him out of town. On around 33 seconds, Penny sings a little, around 49 seconds you can see him more clearly (he is the one with a hat) Around 30 seconds you will see 2 guys raising their arms. 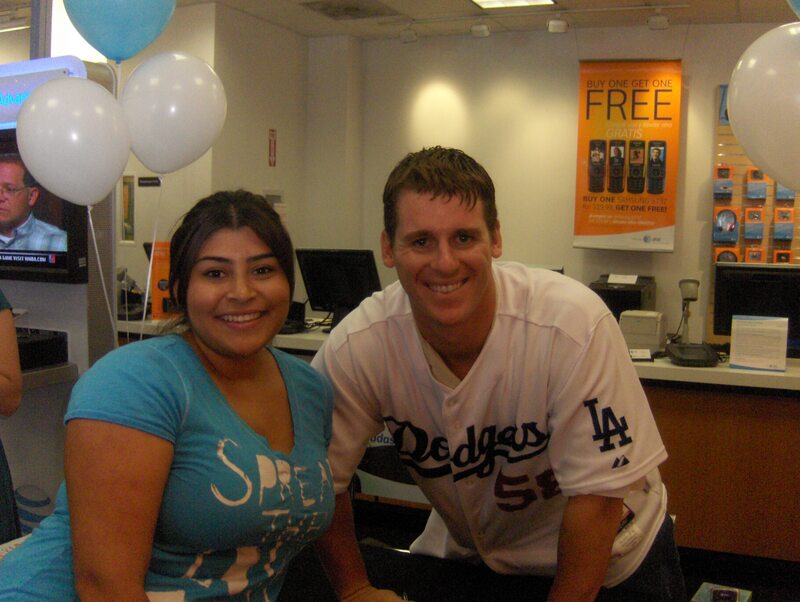 I was told it was 2 Dodgers but the person that sent me this tip, didn’t want to inform me who it was. I’m taking a guess…it looks like Joe Beimel and Russell Martin ? Who knows… Later! Peace! MLB Draft is today and you can see it all live on T.V. 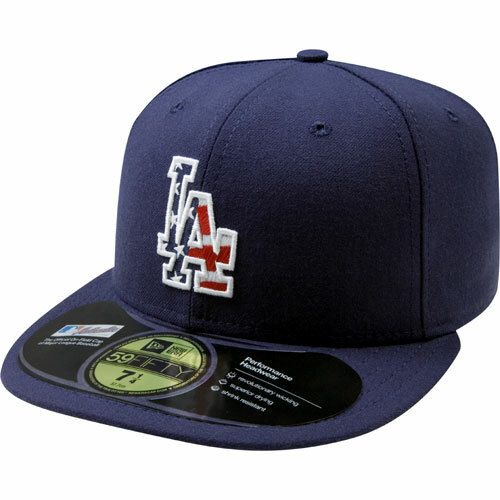 at 11 am on ESPN 2 The Dodgers are picking the 15th pick. From some of the projections I have seen, the Dodgers would pick Texas College Pitcher Andrew Cashner. Who is Andrew Cashner ? He is a Junior pitching for Texas Christian University where he can touch 98 mph. He was mainly used as a closer. 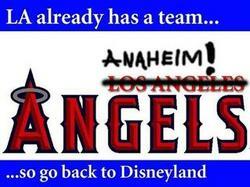 But we shall wait and see who the Dodgers pick later today. Check it out!